Life is fluid, something often difficult to remember. Jesus was Jewish, not Christian, so why is it so hard for Christians to honor and treasure Judaism? Why does it so often seem they are in opposition to each other? Gay athletic groups–such as the National Gay Flag Football League and the North American Gay Amateur Athletic Alliance–have different ways to figure out how to define who is gay and who is not, because they limit the number of non-gay team members. Is it so clear? This is an issue with which they are currently wrestling. Some Christians feel they have the right to decide who is Christian and who is not. Some Republicans say that others of their party, who differ from them, are RINOs, Republicans In Name Only. Even transgender folks can get trapped into defining that term in ways that appear to draw lines that others feel are too rigid. Why do we so often need to define people IN or OUT? I suspect our fear of fluidity is one reason the Holy Spirit is the least acknowledged part of the Christian Trinity. The Spirit knows no boundaries, moving when and where S/He will. Personally, I just think everyone should like fluidity and if they don’t, well they should just . . . . well . . . . oh, I guess . . . . they should just . . . . . be themselves? I received a thank you card yesterday from some folks in Pennsylvania. I am very touched. They wrote personal messages, thanking me for my service to MCC Richmond as pastor. Two of them are former members in Richmond. They are now active at MCC of the Spirit in Harrisburg. They were joined by five others. What I really liked is that they wrote on the card as members of the MCC of the Spirit Prayer Warriors. I am not always pleased when people call themselve warriors, but this is a good use of that word. I believe we are wise to have the seriousness of purpose that the term implies–dedicated to praying with unceasing devotion, and to letting nothing stand in our way. So, thank you, Harrisburg Warriors–this pastor is grateful for your thoughtfulness. I shall keep your card nearby, for those days when my spirit wanes, and I need to be reminded that the struggle continues. What’s going on in Washington resembles Dolley Madison’s scramble to save the valuable items in the White House as the British approached Washington in 1814. It is not clear that those scrambling today will manage to get out with anything other than badly tarnished reputations. As a theologian, what I see is what happens when politicians–often too quick to compromise–go the other way and sign on to “true believer” politics. This is believing so deeply in some principle that you will NEVER compromise. It is right and all who differ are not only wrong, but even bad. Religious people do that fairly often–which is why there is so much hatred between people of different religions. But in politics, there is supposed to be a way to make things work. As in a marriage, or any other relationship, compromise is required. Nobody gets their way, entirely–unless it is a dictatorship or an oligarchy. True religion often works like an oligarchy, a few people have the power to tell everyone else what to think, and even do. 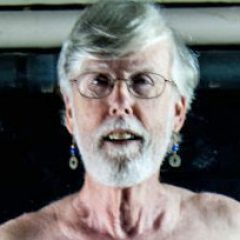 I do believe the single most important culprit in creating this mess–other than 10 years of deficit spending (don’t believe those folks who say it is all Obama’s fault, “W” and his cronies did plenty, too)–is the propensity of politicians to sign pledges that leave them no wiggle room. There are some things worth pledging–monogamy in marriage, for example–but the pledge to NEVER raise taxes, or even revenue, is nothing short of stupid. You can’t govern that way. There comes a moment, as the Democrats saw in agreeing to $2 trillion in spending cuts in the Biden-led negotiations, when you have to recognize the validity of the other side. So far, that recognition has not been reciprocated. 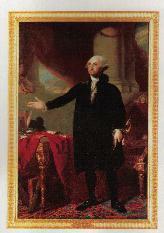 At least, Dolley made it out with the Gilbert Stuart portrait of Washington. I am not sure what we are going to have left–if something does not change soon. Do you take good care of yourself? Do you eat well, exercise, get enough sleep? Do you take good care of God’s gift to you, your own body? I know I need to lose weight. Eating less helps. Exercising more helps, too. I also need to get more sleep regularly. Other than that, I am in relatively good shape. I am so grateful. I know so many others have major health challenges. When I visit or pray with folks who are sick, I really seek to feel their stresses and fears and anxieties. This also is true when I pray for people during my daily prayers. But I also give thanks to God for blessing me, so far, with phenomenally good health. I did not earn this. 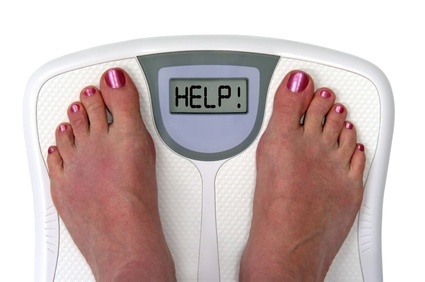 In fact, people with my weight often have more serious issues. So I know the fact of my relative good health is due more to providence than to me. I want to lose the weight. I don’t want to be contributing to the national obesity index. Recently, I have lost a few pounds. I am really trying. So, in addition to my prayers for others, I am praying for myself: Help me, God, to eat less and exercise more. And help me to get enough sleep. Those changes require other changes in how I live. And there is only one who gives me enough strength to make those changes, to take good care of the body God has given me. Thank You, God. Help me, God. Thank You, God. Why Is Money All that Seems to Matter? I had a colonoscopy today. It was not my first, so I knew that the preparation was likely to be the hardest part (in a manner of speaking). And so it was. The best part was the nap. I went out like a light. I don’t know what sedative they use, but it sure felt good. I was shocked when the nurse woke me to tell it was all over. But there are other positives. Dr. P. Frederick Duckworth of Gastrointestinal Specialists is the best kind of doctor, and his staff is excellent, too. I also really admire my primary care doctor, Haroon Hyder of Patterson Avenue Family Practice. I know there are many fine doctors in Richmond. I am grateful for mine. I experience Richmond as a community well-served by many fine doctors–private and public (the VA gets good marks, e.g.). I also know there are plenty of people here who may not receive a colonoscopy when they need it–that is, before colon cancer and other ills get too far along. Some of this is willful–there are people who refuse medical care. But much of it is systemic. As a nation, we still have not got health care right. And certainly that is true in most of the rest of the world. My reading of the Bible says God expects us to do better. I know Jesus does. He reminds us that when we care for others, we connect with him. So why is this lost in all the talk about debt ceilings and balancing the budget? Why is it only money that matters? 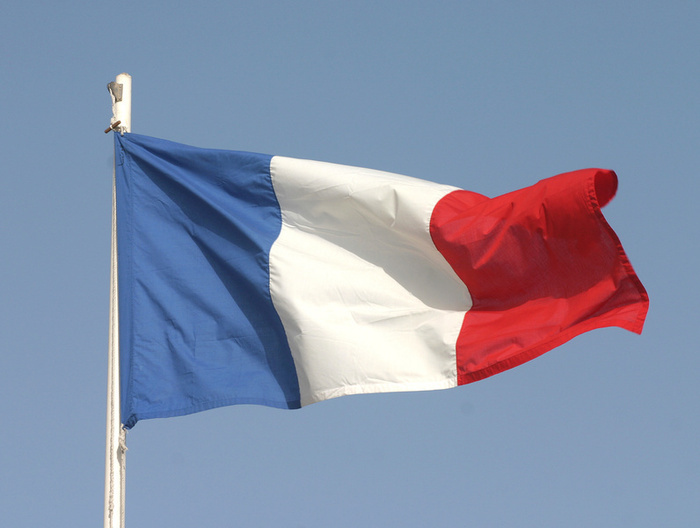 Today is Bastille Day, the day the French celebrate the 1789 storming of the hated prison of that name and the freeing of the prisoners–the moment in French history considered to be the end of the monarchy and the beginning of constitutional government. Like Independence Day in the United States, it is celebrated with fireworks and parades. My heritage is partly French, and so I have always been drawn to Bastille Day. In my younger days–when I seemed to have more time for such things–I gave elaborate Bastille Day parties. Some of my friends are digging deeply in family history, becoming real genealogy buffs. I feel an urge to join them in this pursuit. I even wonder, strange as it may seem, if God is nudging me a bit. One of the outcomes of my coming to Virginia to pastor is that Jonathan and I bought a home off Huguenot Road. I drive that road every day. There was a major settlement of Huguenots in Central Virginia. “We all come from somewhere,” a friend of mine once observed. She meant in that moment that all of us have stuff in our history that we might not want to share with the world. A drawing showing the burning of a French Huguenot "heretic"
But she is right in another sense. We all carry the marks of where we come from, some of which we may not even really understand. I know one thing: I feel my Huguenot blood begin to stir when I confront any affront to religious liberty, my own or that of others. In that moment, I am especially glad to be a Virginian, to be part of this land where so many battles for human freedom have been fought, to be living where some of my people fled to be free. I am finding it difficult to maintain a thoughtful perspective about the debt ceiling mess inWashington. 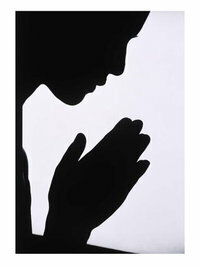 So, although I read the headlines and even the news reports, I am resorting more and more to prayer. It is only there that I am finding some hope. The limitations of our leaders are all too apparent. As you might expect, I am finding it especially difficult to maintain some equanimity about the Republicans. But the Democrats are far from paragons of good sense. What is especially troubling is the ideological posturing. Richard Rohr speaks of ideologues as those who replace “real experience with predetermined conclusions.” What this means in the present moment is that people, my own Congressman Cantor comes to mind, repeat the same phrases over and over . . . . as if that is governing. But he is not alone. Folks on the left endlessly repeat phrases about protecting the elderly, the sick, and the poor as if fixing our finances did not matter much at all. What neither seem to get is that in order to get something done, there will have to be painful compromise–and they can’t predetermine how painful it will be. If they get to name in advance how far they will go it is not compromise. People who successfully build marriages know this. Why can’t political leaders remember it, too? 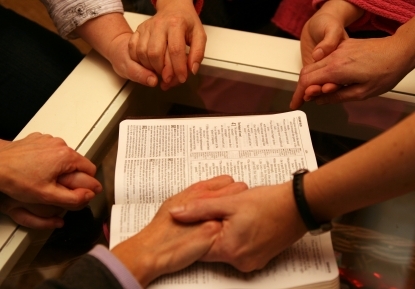 My suggestion is that they spend less time in meetings and more time in prayer, preferably together, and holding hands. Our country is at stake. They asked to be our leaders. Now they need help to do what, on their own, they seem unable to do. A key element of leadership is to know when to get help, and who to ask. I know prayer would help. It always does.